Sujoy Ghosh directorial Badla has garnered a total of 74.79 by the end of the third week. After last year's AndhaDhun proved to be a path-breaking film with surprising box office collection, continuing the same Badla has proven to be victorious this year. 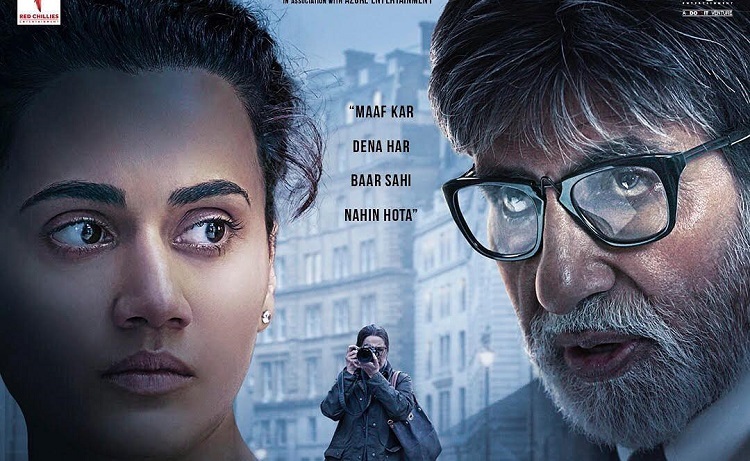 The crime thriller starring Amitabh Bachchan and Taapsee Pannu has collected 7.47 crores in the third week owing to the positive word of mouth hailing the murder mystery. Last year's Andhadhun collected 75.60cr, Badla is almost on the verge of surpassing AndhaDhun as the difference is just of 0.81 cr.